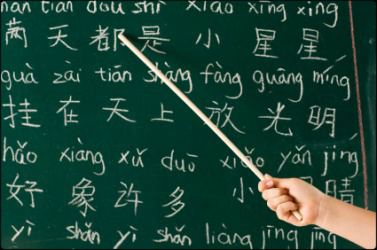 It’s been hard keeping up my Chinese study habits since I started at the International School. All my interactions with the staff are in English, except for when I chat with the Mandarin teachers or go to the copy room. In my ELL specialist position I try not to rely on my Chinese, but it has definitely come in handy in rough situations, and it’s helping me get a new student adjusted this week. However, I’m not improving. The Learning Plateau is real, and anyone who has tried to master a skill that contains many levels will tell you that it is a leviathan that can lull the learner into languid complacency, making even the steadfast of students lethargic. Last summer I had a great strategy. I talked with three different college students from different parts of China for an hour each, nearly every week. It helped with my listening, and strengthened my ear for dialect. I bought a great book (one of perhaps a few dozen now) with everyday situations and plenty of idioms and vocabulary. I always had it nearby and resorted to it many times a day, soaking in new phrases. Xiao Ming and I stressed Mandarin for longer periods of time, and she helped me with the correct wording constantly. Even my buddy, Matt, a guy who’s been here for 10 years, offered a few compliments. I was improving. Then August rolled around and I was in a new position. In an effort to break through this plateau, I have been learning a word or two a day for the last month. In my planner each week, on the weekdays, I’ve been jotting down words of the day. These words are terms that relate to my job or to something I’ve needed to know how to say while helping a student. This has been going on a month come St. Patrick’s Day. I’ve listed my words for the past month below, but I’m curious….anyone have any suggestions for learning a new language when you’ve already got a very busy schedule? Um…It’s either an unemployment sign or a Rorschach test. To put ones head in the noose jiang tai gong diao yu, yuan zhe shang gou (there’s a whole story that goes with this idom).